Well this was our 11th season of operation here in British Columbia, booking fishing trips and running our fly fishing guide services. From a business perspective it has been an incredible year, very very busy, with a huge amount of new clients and returning clients trusting their BC fishing trips to us. For that we are so incredibly thankful. From a fishing perspective 2017 was certainly met with challenges and opportunities, there were highlights and some lowlights. We don’t always like to talk about those in the fishing business but it is a reality here in BC, as in most places in the world, where wild fisheries are met with more adversity than ever. 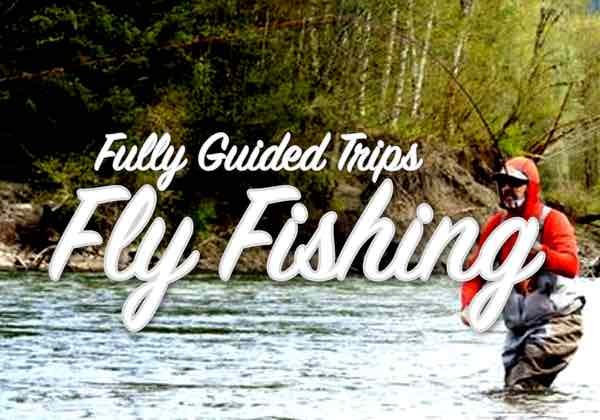 Definitely our busiest season for our in-house fly fishing guide service. We run a full service fly fishing guiding operation out of Vancouver and Whistler and had a really solid season. The season started a bit later than usual, January through late February were crippling cold and the rivers were icy and unfishable. When the weather warmed up we had a good Spring season, some nice big bull trout around and some solid steelhead days, all on the fly. Looking at Spring 2018 we’re already getting booked up which is a sign people are liking our program. The Summer season was good too, we had a healthy run of pink salmon return to the Squamish River that usually provide a nice fishery for us on odd years. We did feel the restrictions of a lower return of fish though, in specific the closure of some river sections to fishing. Funny thing is the government didn’t shut down retention (keeping) of pink salmon, which was a bit disappointing. We’ll look forward to the day our south coast rivers that we guide on stay catch and release all year long, regardless of returns. Fall fishing wasn’t what we had enjoyed in 2016, it was slower with smaller chum and coho returns to the Squamish River system. We did get spoiled in 2016 with incredible fishing and very healthy returns of fish. This year we still had good returns but they came in late. November saw some very high river levels after heavy snow and then heavy rain and a high freezing level. Not so good, we don’t like that, nor do all the fish that have spawn. High river levels are a growing concern, they don’t do rivers any favours and are indicative of global warming. It will be interesting to see if high water occurrences become more of the norm as things get warmer. 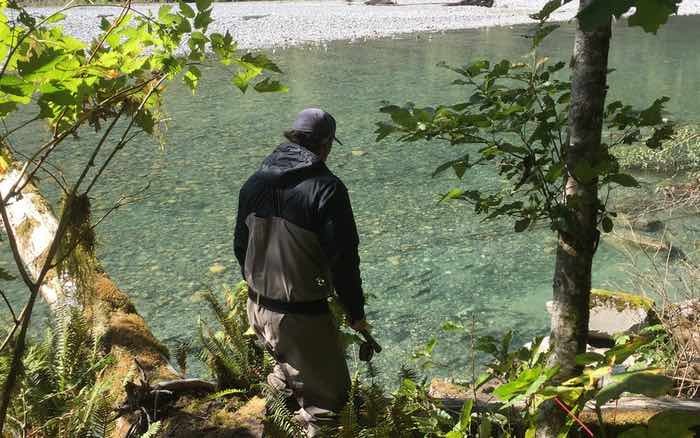 Chromer guide Pauly takes a look over spawning Pink Salmon on a small coastal river that we access on our day trips from Vancouver. 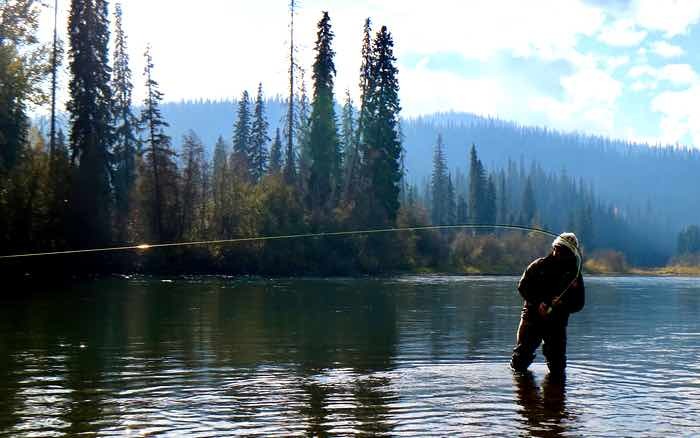 Overall our fly fishing season was a success and we worked towards building better experiences for our clients. We also welcomed two new guides to our staff, Austin and Greg, both of whom have become huge assets to our operation. Langara Island is where I guide during the Summer months and have done so for the past 10 years. 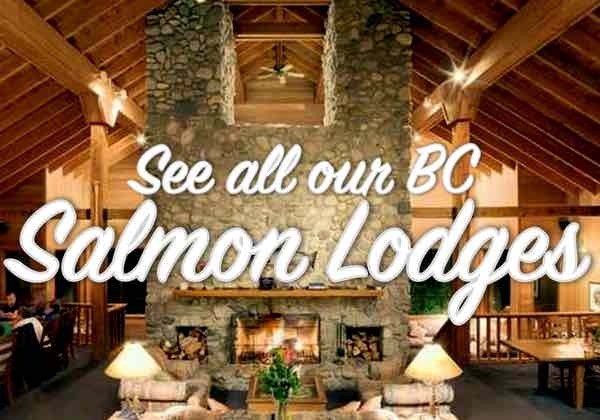 We do bookings for lots of other salmon fishing destination in BC but Langara Island Lodge is home from late May to mid September each year. We always have a dog season at Langara, it is the first major feeding station of Pacific salmon coming off the open ocean and the rich waters and geographic location of Langara Island are a draw to those fish. The season got off to an okay start, June is a month when our focus is almost entirely on chinook (king) salmon but their returns coast wide were low. A key factor to this was the ‘Warm Blob‘ that was off the coast of British Columbia in 2013/14/15. The higher then average water temperatures were detrimental to ocean survival rates of juvenile salmon and we saw the effects of that in 2017. Since 2015 water temperatures have normalized and hopefully we don’t have the occurrence of such warm water again. As we moved into July and August, salmon fishing at Langara Island definitely perked up big time. We had some pretty incredible fishing through portions of July and the first two weeks of August saw phenomenal fishing. 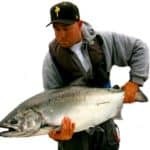 Not a lot of big fish around, by Langara standards, a big fish is 50+ pounds, but lots of healthy chinook salmon in the 15-30 pound class throughout July and August. Hanging out with ‘the Goon’ on my boat, the Sea Monster. Goon had been guiding in Haida Gwaii for over 30 years, so it was a big honour to be able to guide him and find a nice tyee chinook for him on a sunny day! 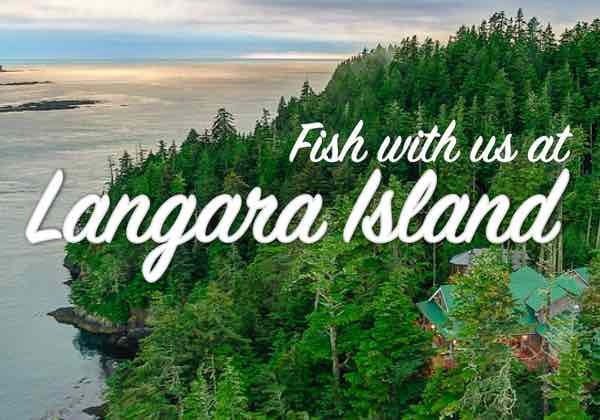 We are taking Langara Island bookings for 2018 and some prime dates in July & August. If you’d like to come fish with us on some awesome dates, drop me an email, chromersportfishing@gmail.com. 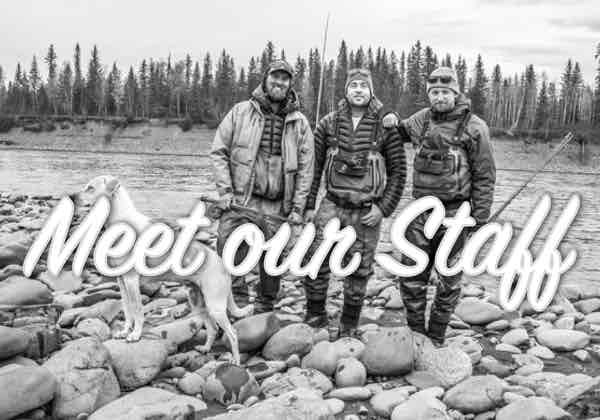 Every Fall we move our operations to northern BC for the summer-run steelhead fishing found in the Skeena Region. 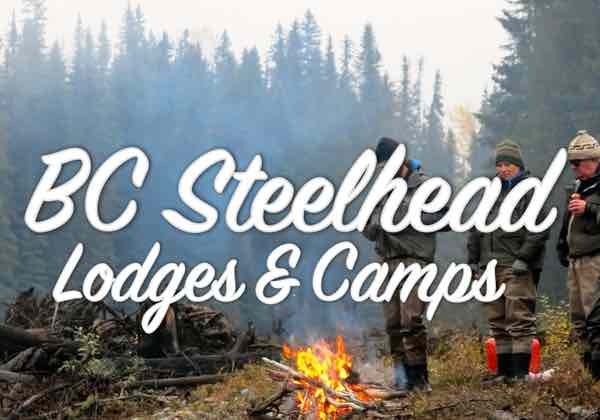 We book trips to all the top steelhead rivers in British Columbia and I go up north for a few weeks each season to host trips and ensure our clients coming to steelhead fish are well taken care of. Overall we had a good season fishing steelhead. Runs were smaller than 2015 & 2016, with less returning fish but steelhead fishing isn’t really about the numbers. Steelhead run levels do fluctuate, they have since I’ve been going up to northern BC on trips so nothing really out of the ordinary. We always want to see healthy runs of wild fish, so it will be interesting to see how 2018 is, hopefully some stronger returns. 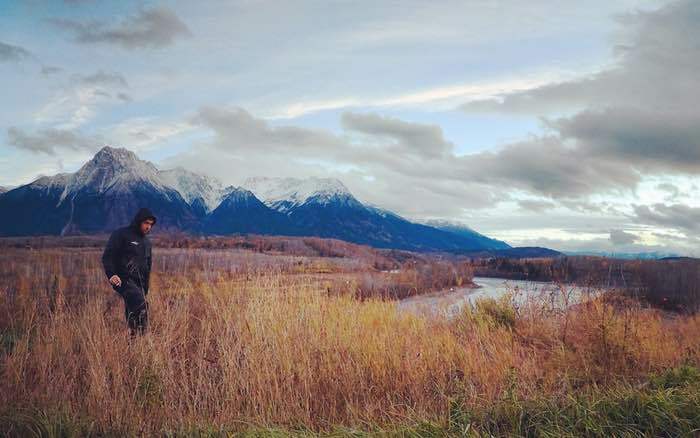 I spent most of my time in Smithers, on the Bulkley and Morice rivers, but also ventured down to check on our partnered operation at Skeena Spey. Chromer client Kip ties into a live one on the upper Morice River. Just one of the incredible wild steelhead rivers we offer trips to in Northern British Columbia. For the most part we had a very smooth Fall steelhead season. Some lost baggage, that was about it, but for the amount of logistics and flights and moving clients around, it was all very seamless, just the way we like it! The only real issue was water levels, again, like we had on BC’s south coast there was some very high river levels making steelhead fishing difficult. At the end of the day we made all our trips work and most of our clients actually slipped in to their usual dates and never had any bad river conditions to content with. 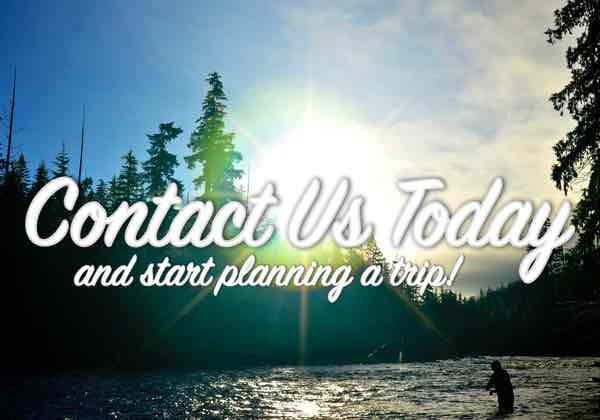 We are taking reservations for the 2018 steelhead season, feel free to see our full lineup of BC steelhead fishing trips and make an inquiry on availability. Most noteworthy this year was we’re proud to receive the Trip Advisor Certificate of Excellence. That was pretty cool, always nice when people enjoy what you do and we received lots of insightful reviews from clients. 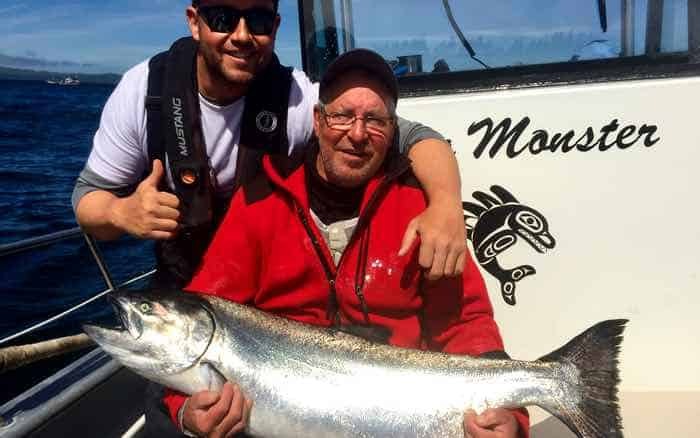 We also contributed as we usually do the local charities and donated to the Steelhead Society of British Columbia and sent over $2000 to the Jesse Jones Memorial Fund with the help of the staff at Langara Island. We just like doing that kind of stuff and hope we can for many years to come. 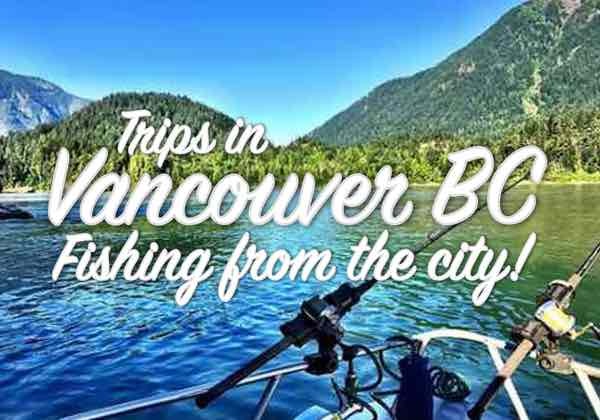 Hope you keep us in mind for a 2018 fishing trip to British Columbia, all for now, thanks for having a read! Hanging out with my little girl, she’ll be two in February. 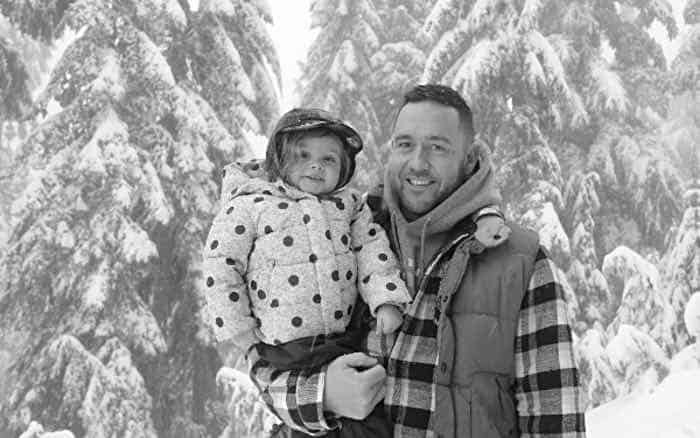 Happy Holidays and a Happy New Year from my family to yours.